The Russian authorities have for the first time used the repressive “undesirable organizations” law to open a criminal case against human rights defender Anastasia Shevchenko, exposing her to the risk of a six-year prison term, Amnesty International said. “In recent years, the Russian authorities have progressively suffocated and criminalized dissent. The Open Russia movement has become the latest victim of this crackdown,” said Marie Struthers, Director for Eastern Europe and Central Asia at Amnesty International. “This new precedent is extremely troubling: it will be the first prosecution of a human rights defender under the Criminal Code for alleged cooperation with “undesirable organizations”. It’s clear that the authorities are expanding their toolkit for imprisoning human rights defenders and activists, so if applied broadly this practice will have far-reaching implications for the right to freedom of expression.”In recent days, police have opened criminal investigations, conducted searches and arrests of Open Russia’s activists across the country. 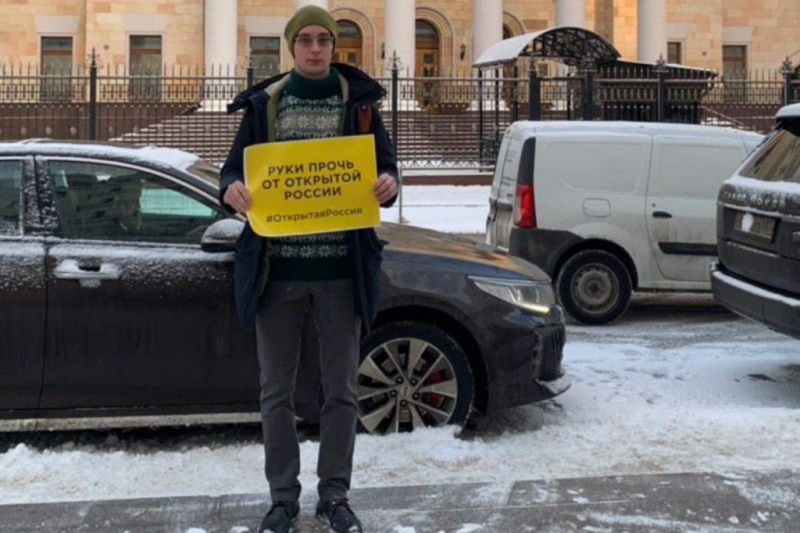 On 21 January, police raided the homes of six Open Russia activists in Rostov-on-Don (Southern Russia) and Kazan (Central Russia). A criminal investigation was opened against Anastasia Shevchenko, the movement’s Coordinator in Rostov-on-Don. This is the first-ever criminal case opened under Article 284.1 of the Criminal Code, according to which a repeated alleged violation of the law on “undesirable organizations” is a criminal offence. On 17 January, Open Russia Coordinator in Pskov Liya Milushkina and her husband Artyom Milushkin were arrested and accused of selling drugs, an offense punishable by up to 20 years’ imprisonment. Artyom, who is also a political activist, previously reported that police officers threatened to plant drugs on him during his recent arrest in November. Amnesty International has interviewed several associates of the Milushkins all of whom are adamant that the criminal case against the couple is fabricated. Amnesty International has documented a number of cases in which activists in Russia have been prosecuted on trumped-up drug charges, including human rights defender Oyub Titiev who is currently standing trial in Chechnya. On 18 January, police filed a case against Open Russia Coordinator in Krasnodar Yana Antonova for posting a video about the shortage of schools in the region. She was charged with “participation in the activities of an undesirable organization”, an administrative offence when “committed” for the first time.